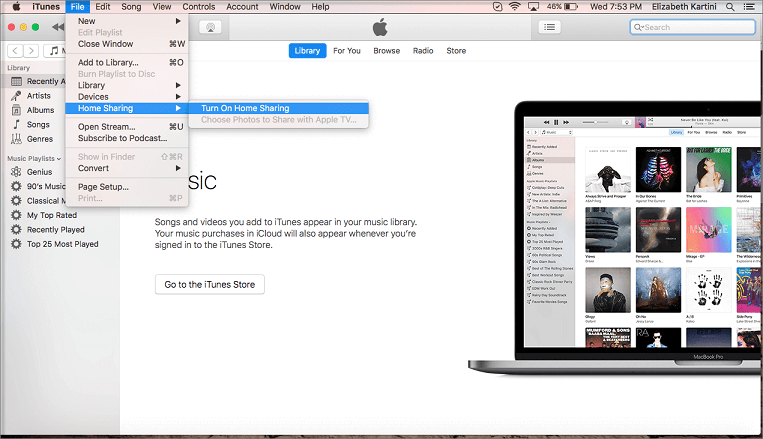 What is iTunes Home Sharing and How to Use It? Part 1: What is iTunes Home Sharing? What is iTunes Home Sharing? iTunes home sharing is a new way of conveniently sharing content on your gadget between five computers around. It enables you to stream photos, music, and videos among different computers. This is a new and unique way of sharing media as it does not involve you burning any compact disc or syncing from iCloud as it makes use of a distinct sharing network in which the computer in your home will be able to join. The sharing can occur from your computer’s iTunes library to the other home computers or iOS devices as well as Apple TVs. iTunes home sharing is a way you can allow your home gadgets to have the same content of music, photos, and videos that you have on iTunes. It is a new technology compared to the previous upgrades, so you will need to have the newest iTunes software installed on each gadget you intend sharing with. You must also have Apple ID which can be accessed on the computer; maximum of five gadgets, an active home internet connection is also required and lastly an iDevice with the least of iOS 4.3. Step 1: Activate the Home Sharing from the iTunes file menu by selecting it from the left bar section that has ‘shared. Step 2: After clicking on it, you will be asked for the login detail of your Apple ID; here you will input the Apple ID you used in creating the Home Share. Step 3: At this point, please note that you must use the same details on all the gadgets you want to use in sharing, then you can select the ‘turn on home sharing’ option, with that, you have completed the setup. If on the other hand, you will be using iPhone, iPod or iPad, the way to use it is much easier. Step 1: Simply go to the settings, click the music option (or the type of content you will like to share). Step 2: After this, you will scroll down till you see the ‘Home Sharing’ option. Selecting it, a page will be opened for you to input your Apple ID. You will have to do the same for all the gadgets that will be involved. Step 1: Go back to your music app after setting up the Home Sharing, select the library, you will see the home sharing option. Step 2: If you don’t, tap on edit, you will be given the home sharing option. Step 3: Select to start sharing. 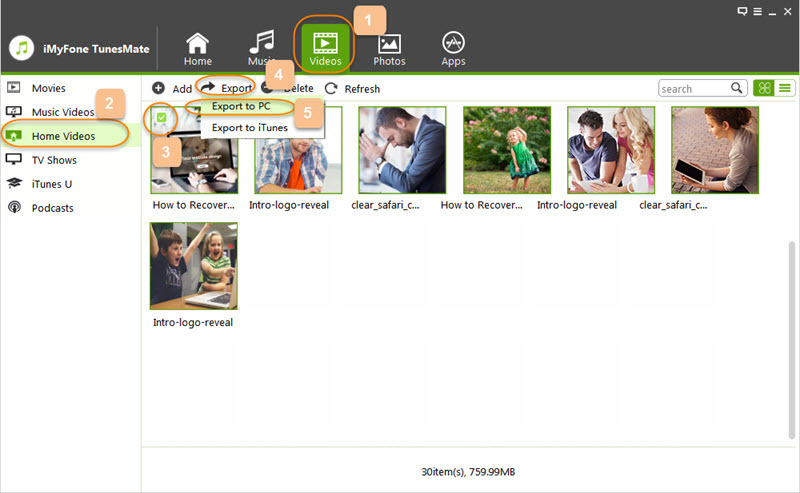 Another way to share files without having your library scattered is through the iMyFone TunesMate. As it allows you to share your photos, music, playlists, videos and manage apps. It can share files without the issues and restrictions that come with iTunes. And also highly spoken by thousands of users all around the world. Transfer your data through unlimited sync between iTunes library and iPhone or iPad as it also can detect duplicate in the things you are sending as it will pick one of the clones. It can recover your data when you experience system crash, unintentional deletion of files or corrupt iTunes or when you need to move your library to another PC. Support almost all music formats, and can transfer music and video in just one click with select and preview. Step 1: Download and install the TunesMate application, when the installation is complete you will plug your device through USB cord. Step 2: Open the TunesMate application, right on top of it, you will see an option on a different form of media, you can select the video option, wait for few seconds and you will see your video files listed on your device. Step 3: Tap the videos you want to transfer before your click option which will, in turn, ask you to choose a destination. When you have chosen a location for the videos to be exported to, you confirm it as it will start sending immediately. 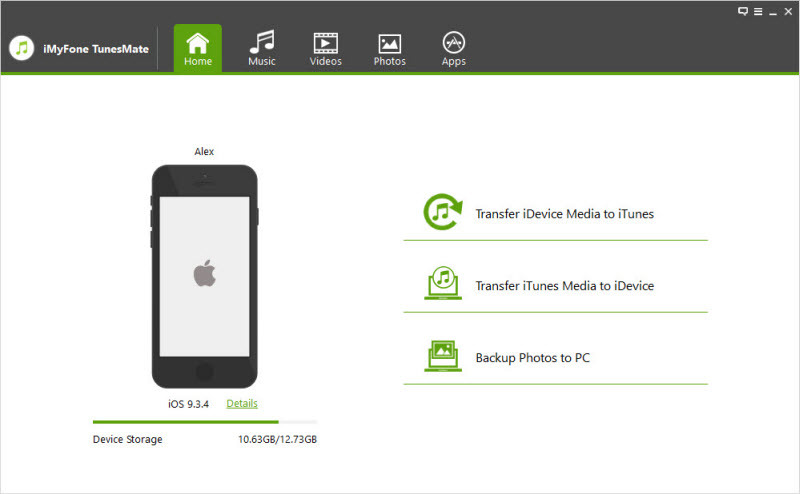 It allows the streaming of media files between the shared computers to you iDevice or even Apple TV once it is a second generation or above. It cannot be used to transfer metadata. When transferring data to the shared computers, it cannot check for duplicate media files. In other words, you can get more of the same type sent to your shared computers. It cannot be used to share updates on the shared computers. It can be help in sending data in an organized form. By using it, your contents will be arranged the way you send it. Thereby making your playlist intact as you transfer it. With the TunesMate, you will not have to be in fear of sending duplicate file to your shared gadget as it uses a smart way to analyze what you are sending. Non purchased music can also be tranfered by TunesMate. You cannot use the TunesMate without having the USB, and aside this, you can only transfer data to one gadget at a time. The free version has a maximum of five songs and other limitation.